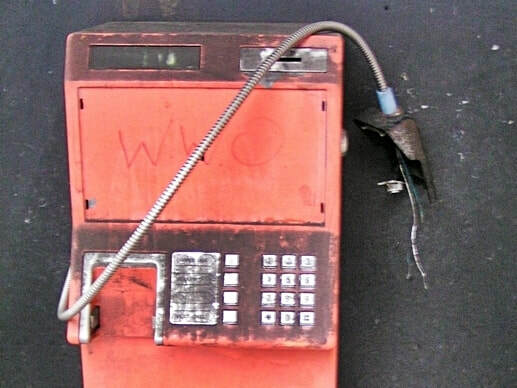 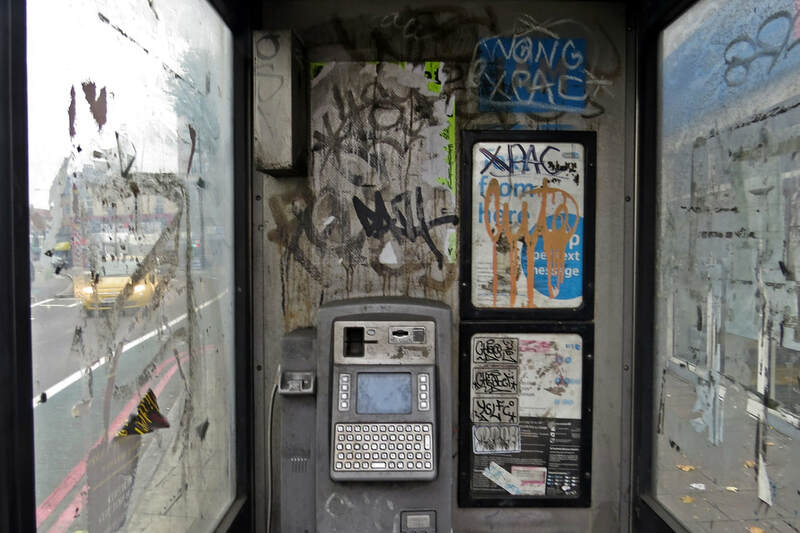 When was the last time you actually used a public payphone? 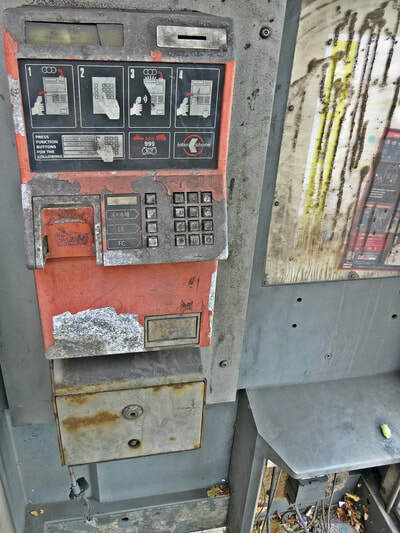 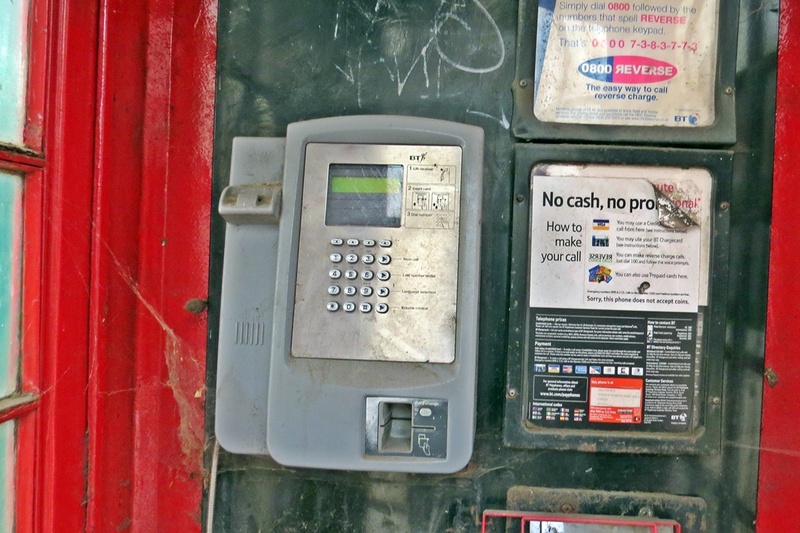 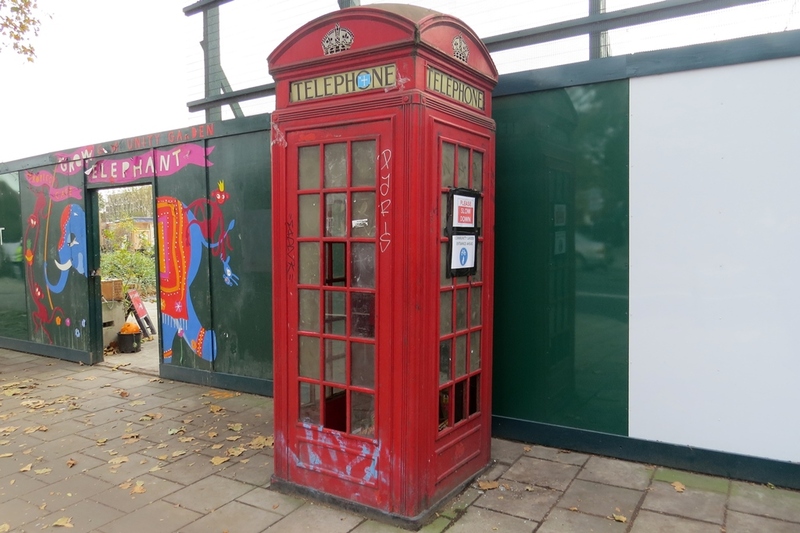 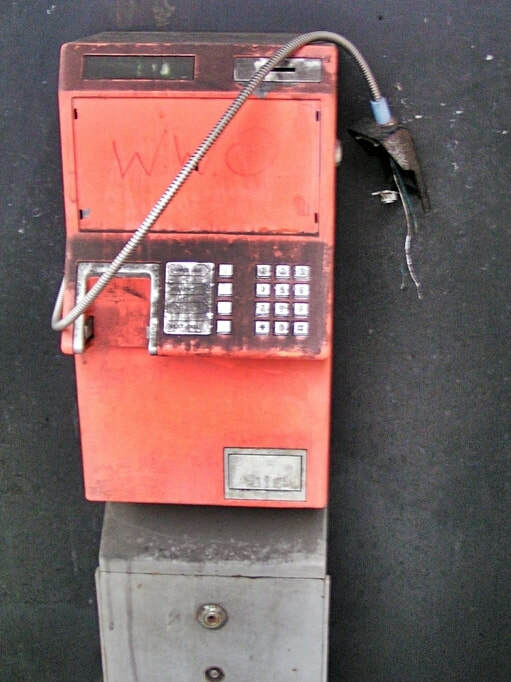 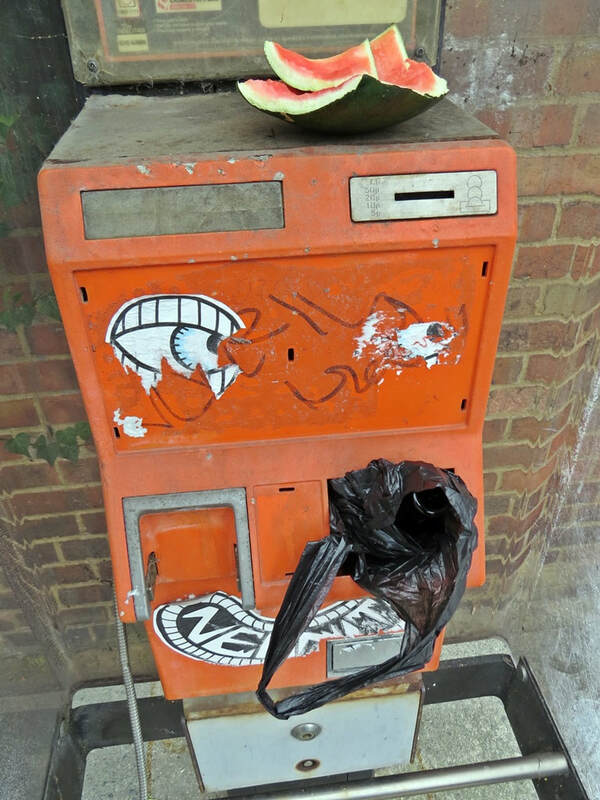 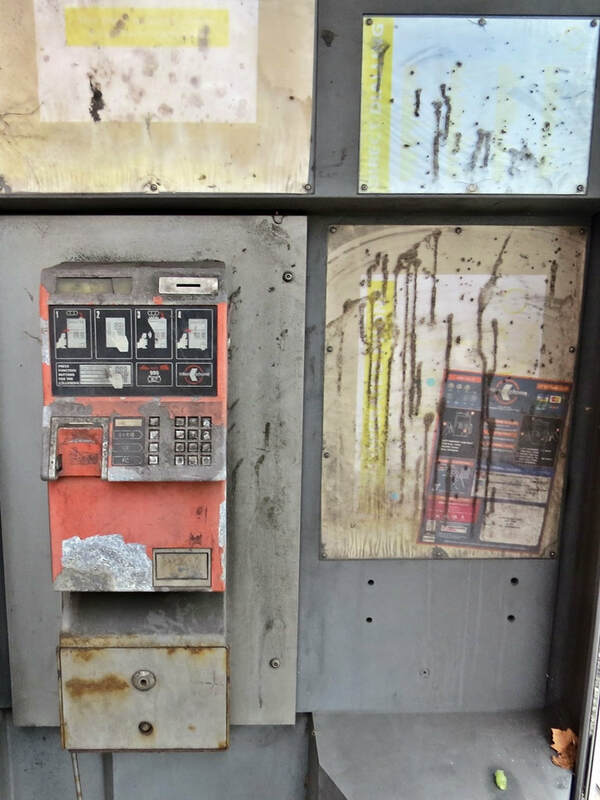 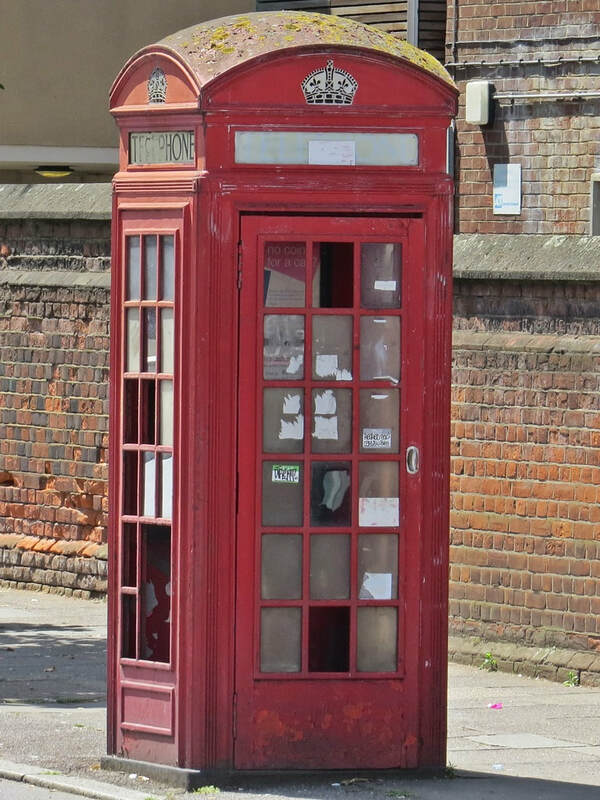 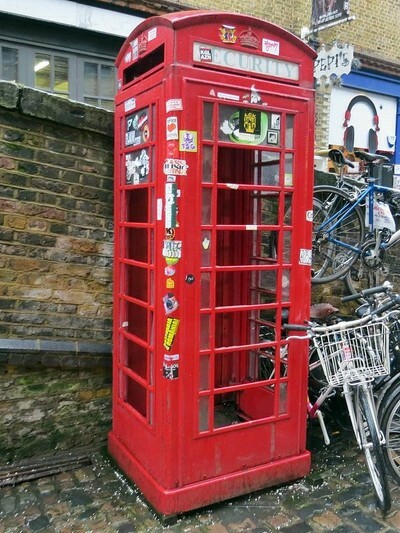 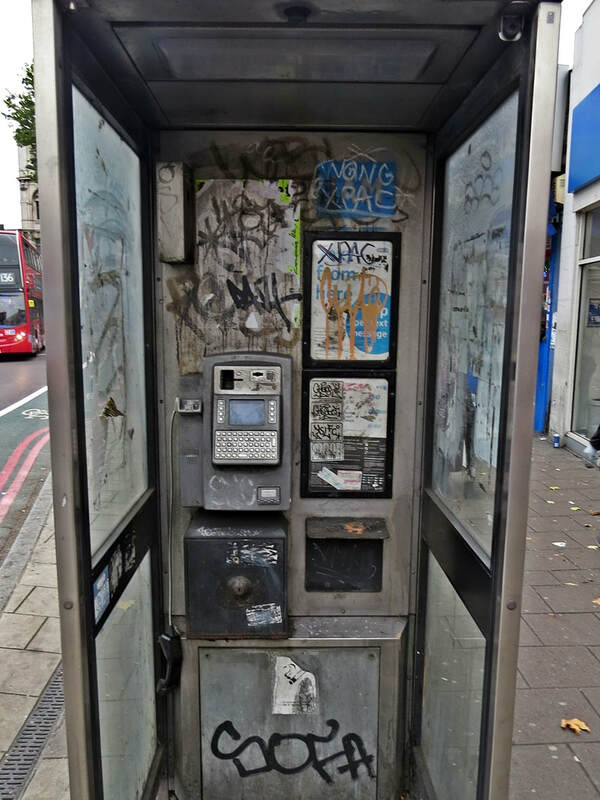 Once one of London’s (and England’s) defining icons, the red public call box (along with all subsequent boxes and kiosks) has been rendered virtually obsolete by the mobile phone. 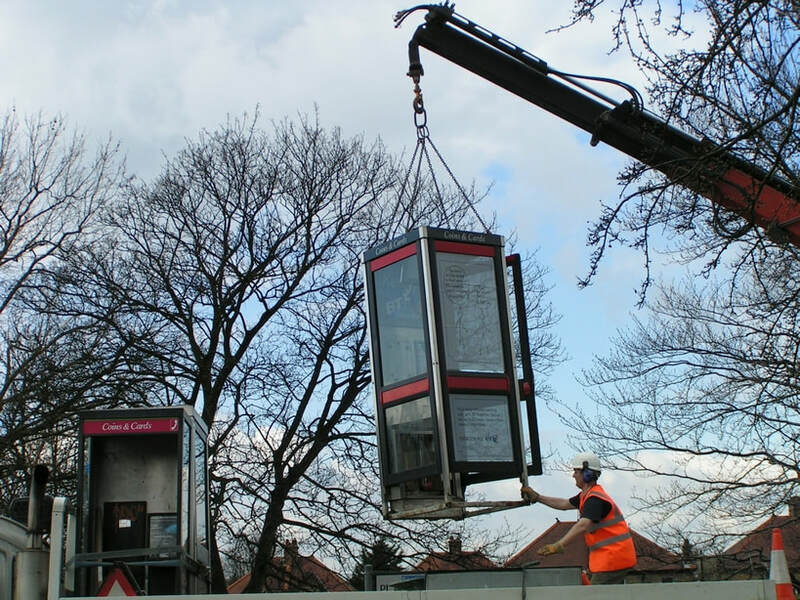 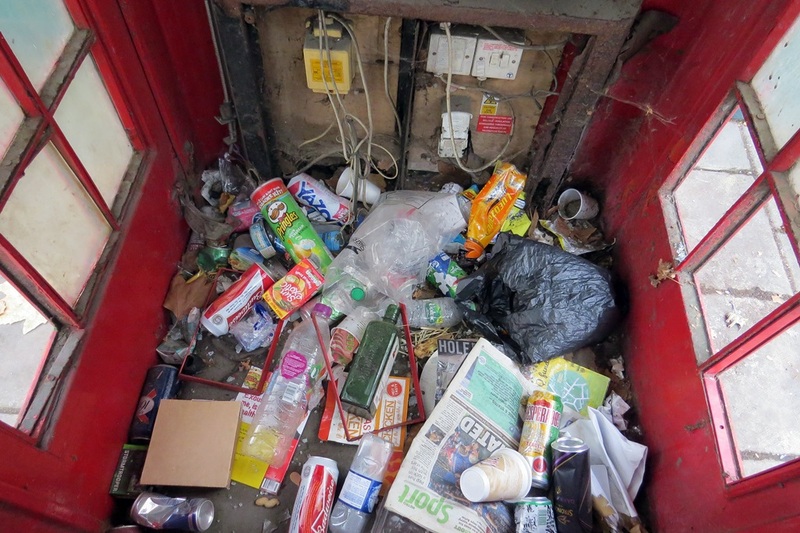 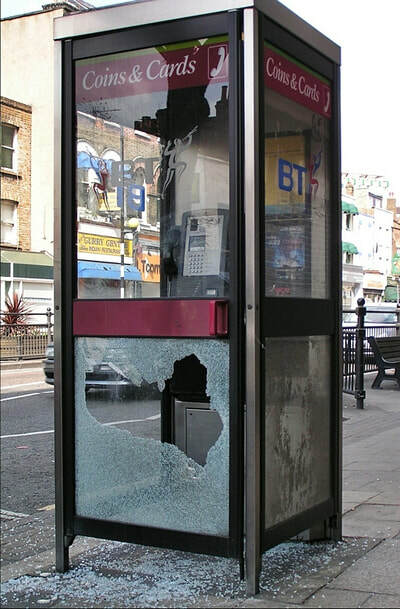 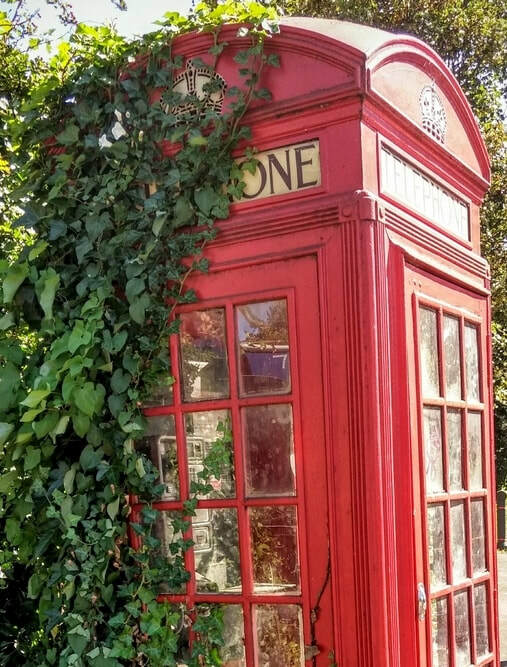 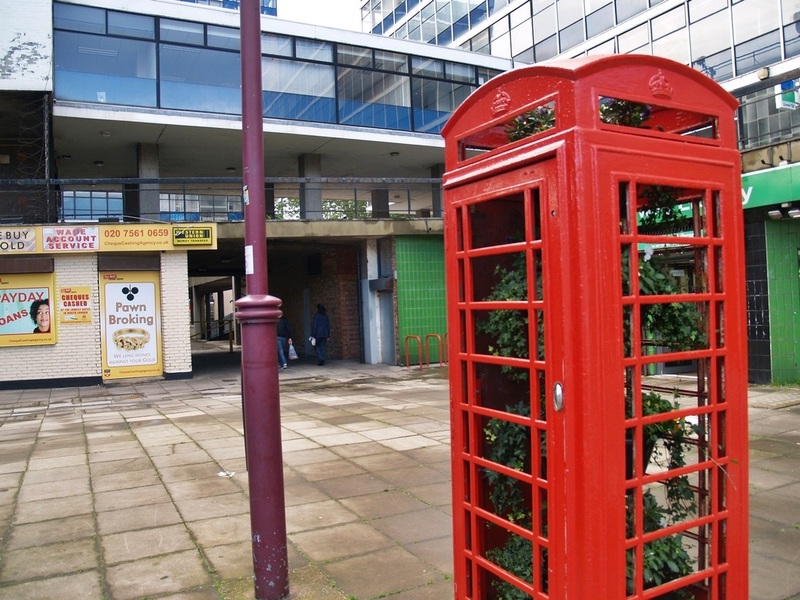 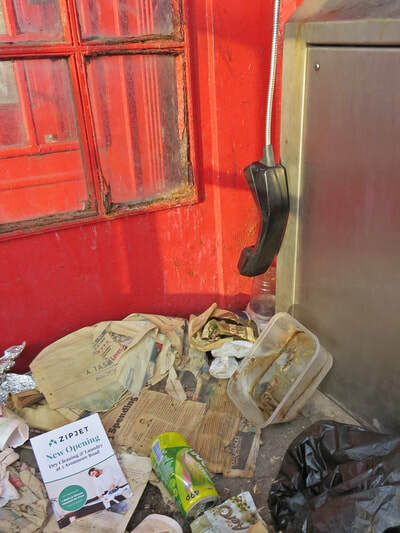 In Summer 2017 the BBC reported that British Telecom is to scrap half of the UK's remaining telephone boxes and focus on the ones in locations where people are more likely to use them. 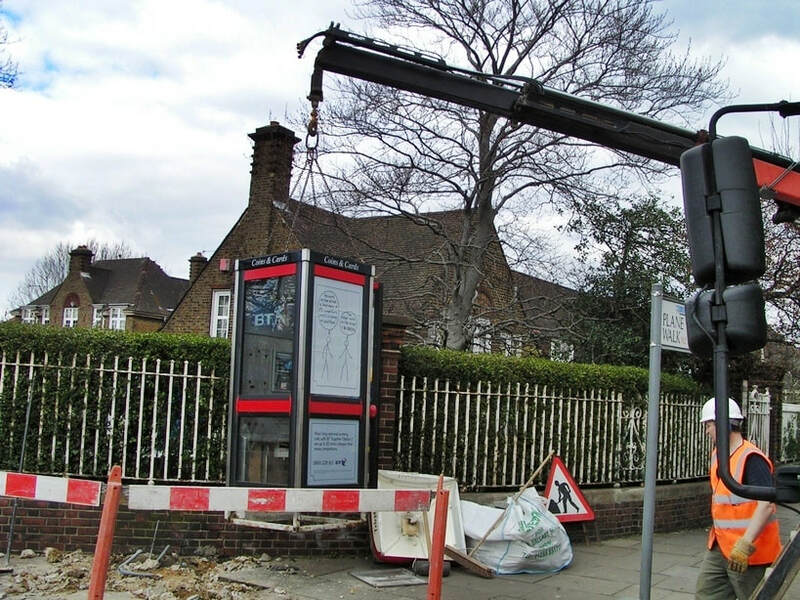 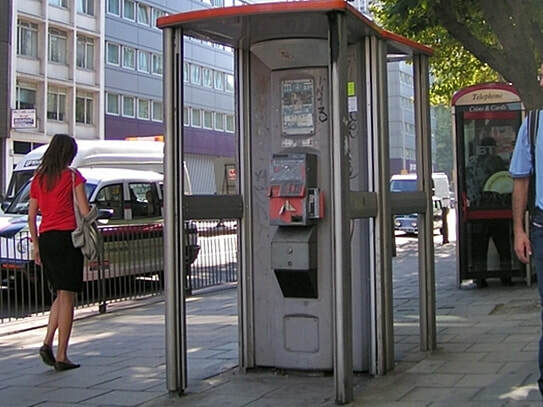 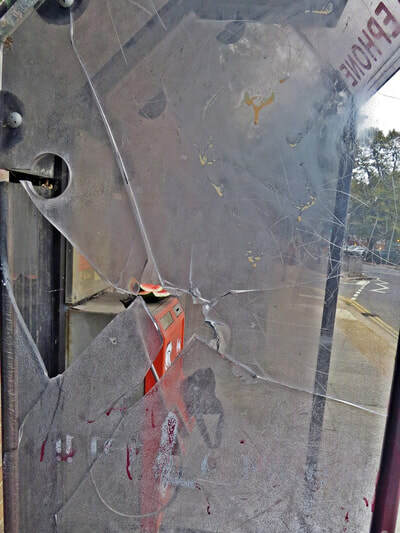 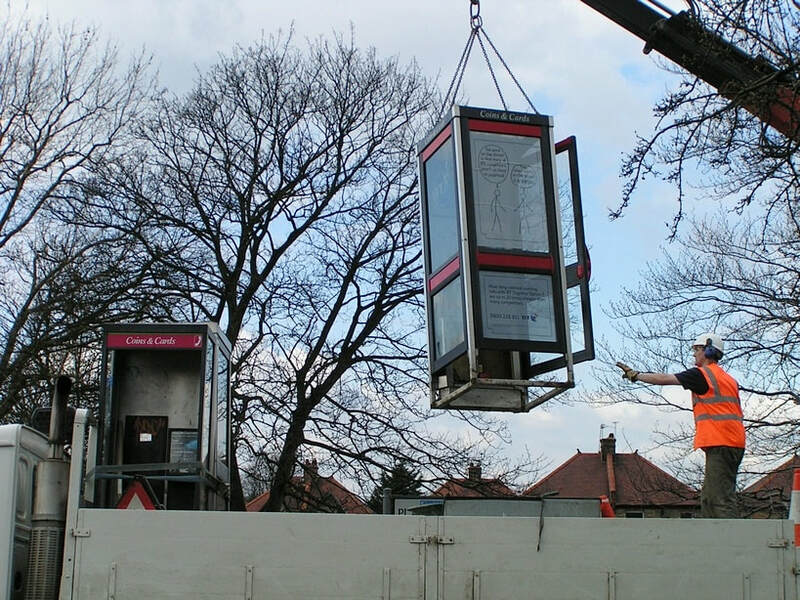 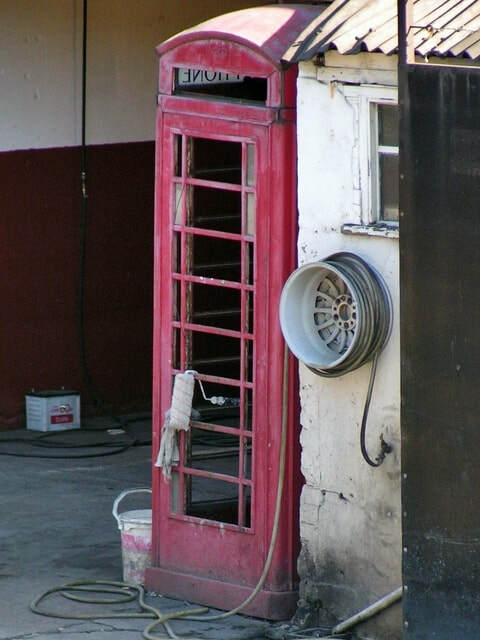 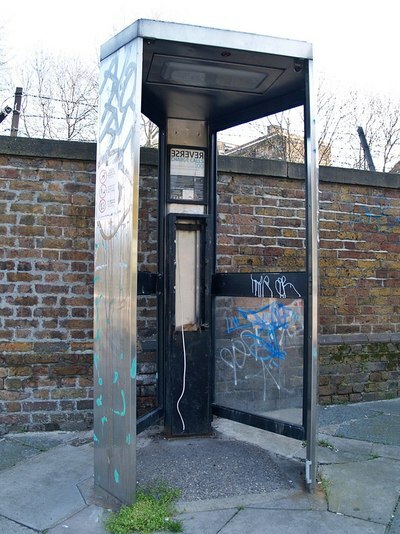 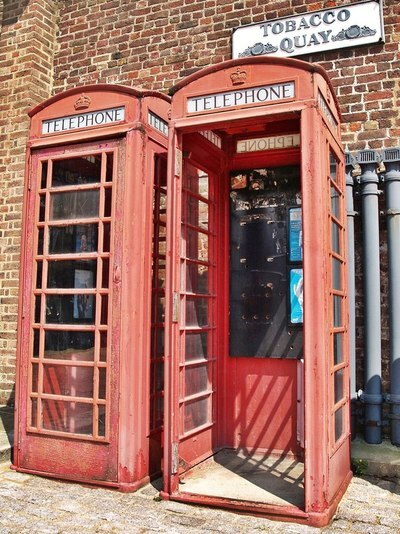 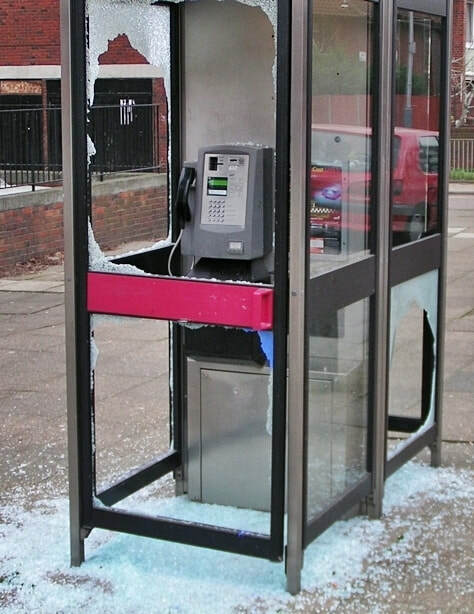 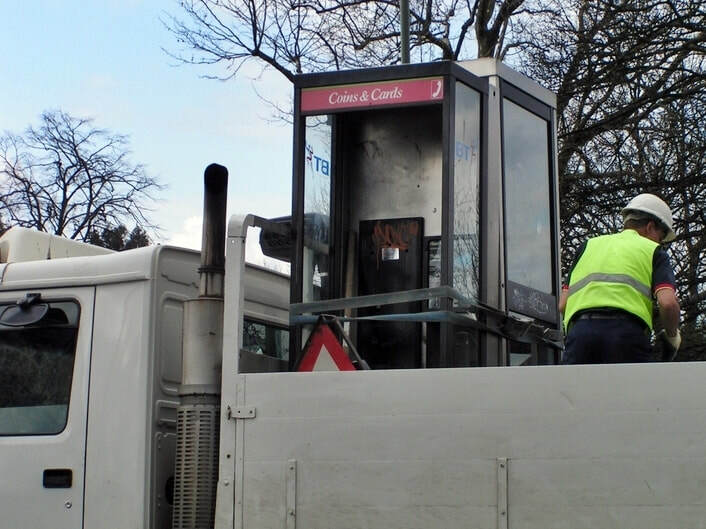 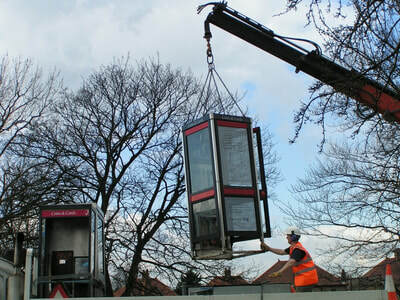 BT has already reduced its phone boxes from a peak of 92,000 in 1992 before the advent of mobile phones reduced the relevance of the traditional pay phone to the current day figure of 40,000 of which 7,000 are the traditional red phone boxes. 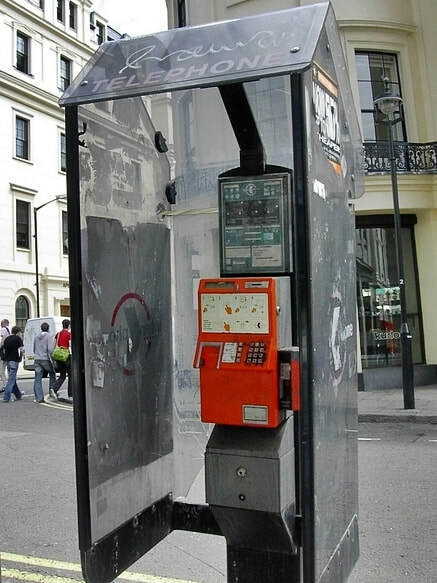 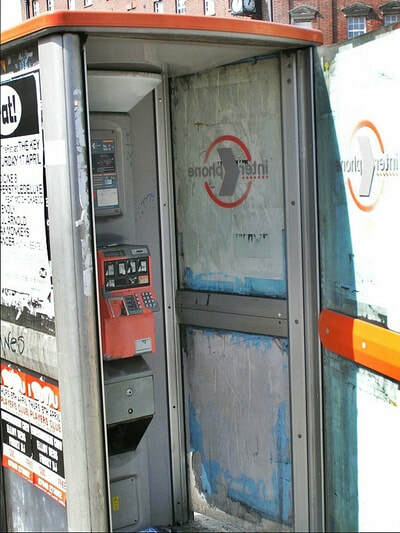 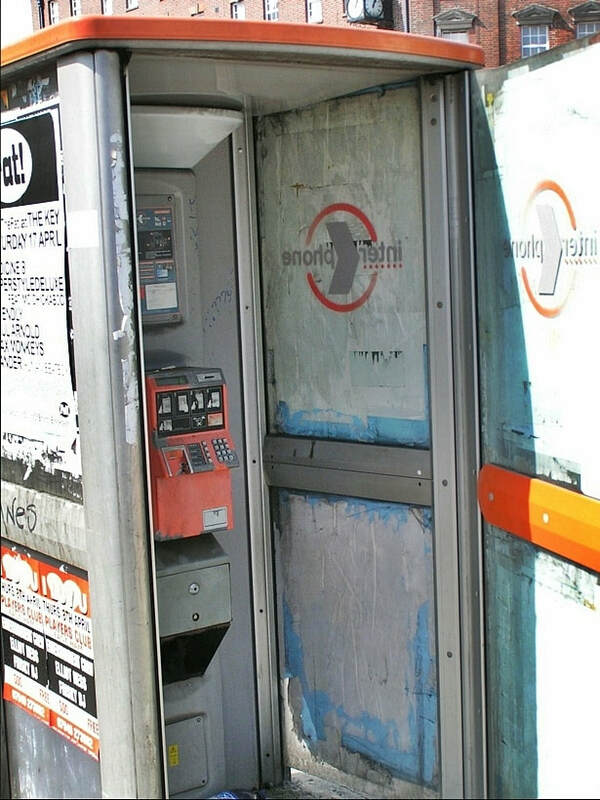 The kiosks with orange coloured phones were owned by Interphone. 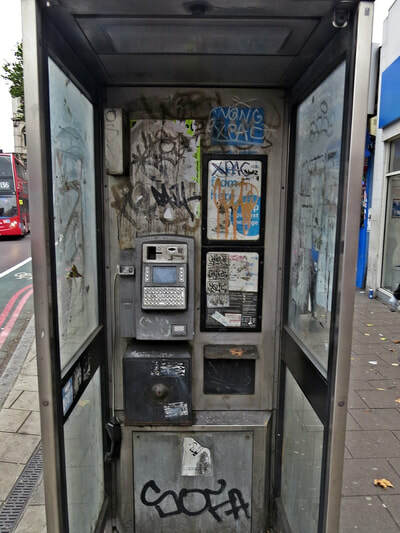 These have remained derelict for well over a decade after Ofcom stripped them of its licence and they went into voluntary liquidation. 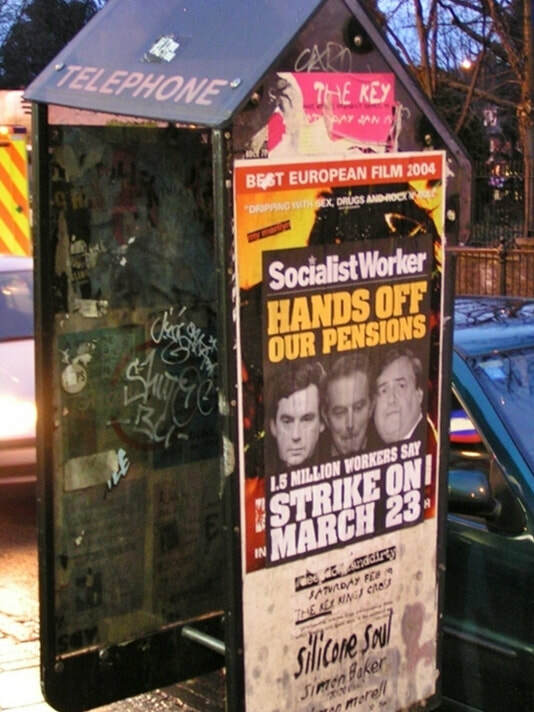 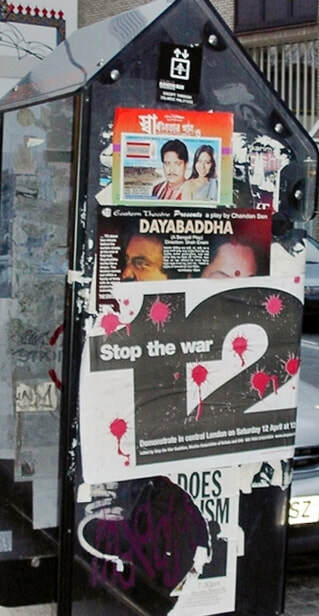 The goverment (Oftel/Ofcom) changed the conditions of entitlement in 1999 & 2002. 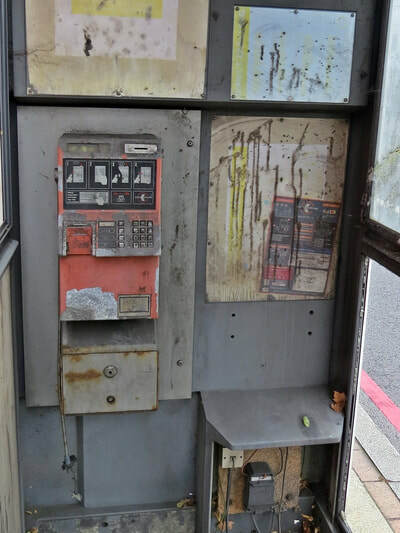 Because of these changes, the companies had to pay increased tax rates to the goverment and since that mobile usage increased vastly they could not afford to pay employees,maintain kiosks,pay expensive taxes and pay BT line rental for each payphone. 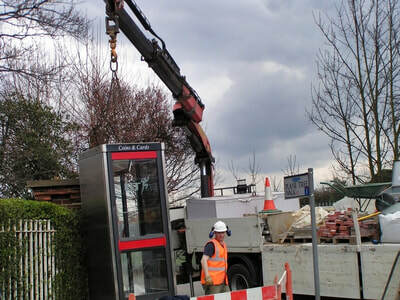 Many Interphone kiosks have been replaced with the black boxes used by Spectrum Interactive. 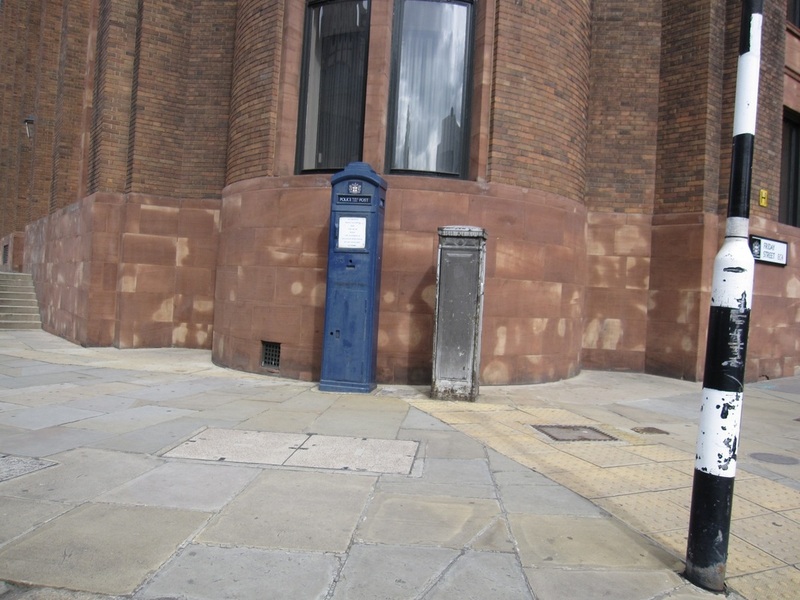 Others have been removed by local authorities. 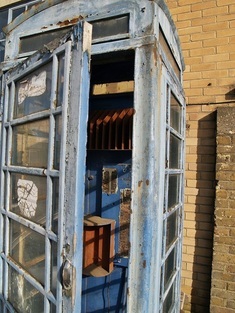 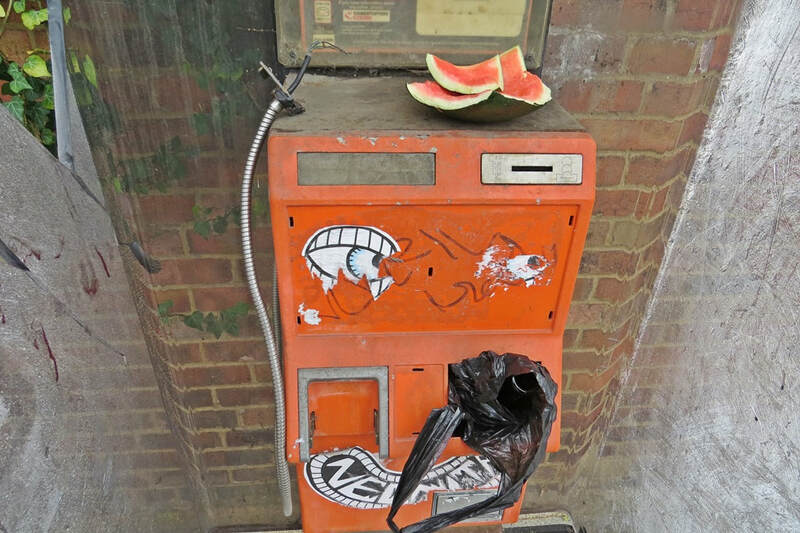 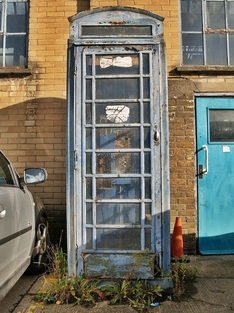 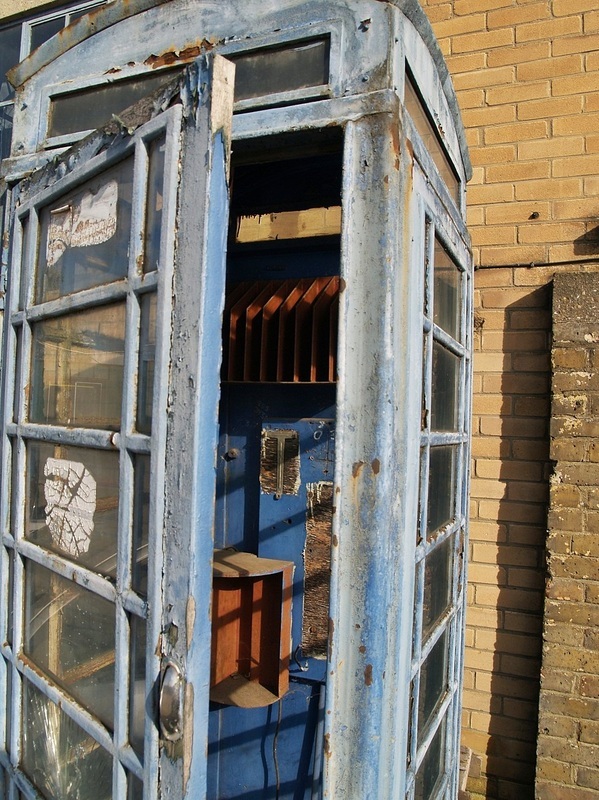 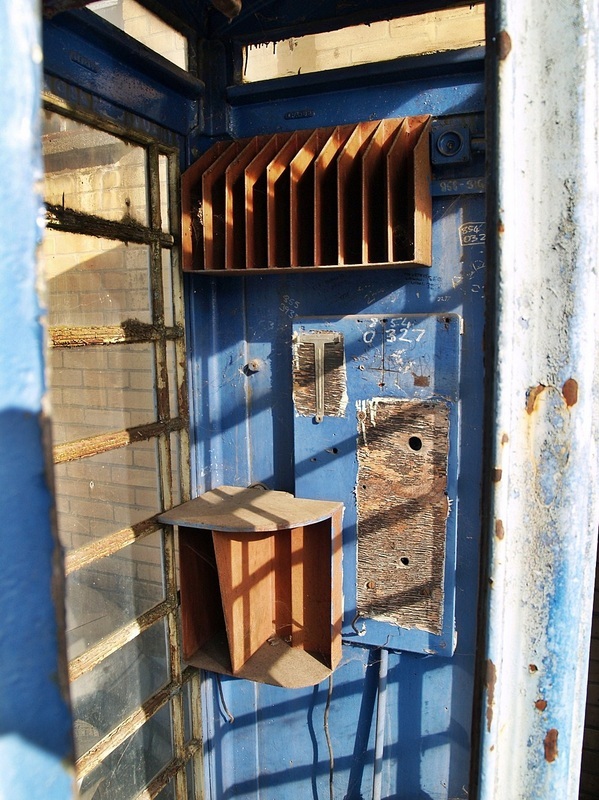 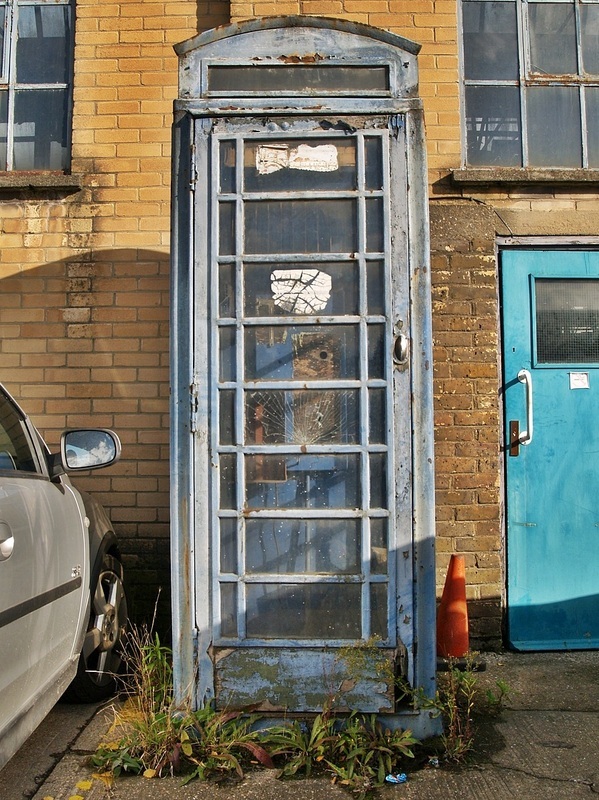 In an Industrial Estate in Plumstead sat this decaying ex telephone box. 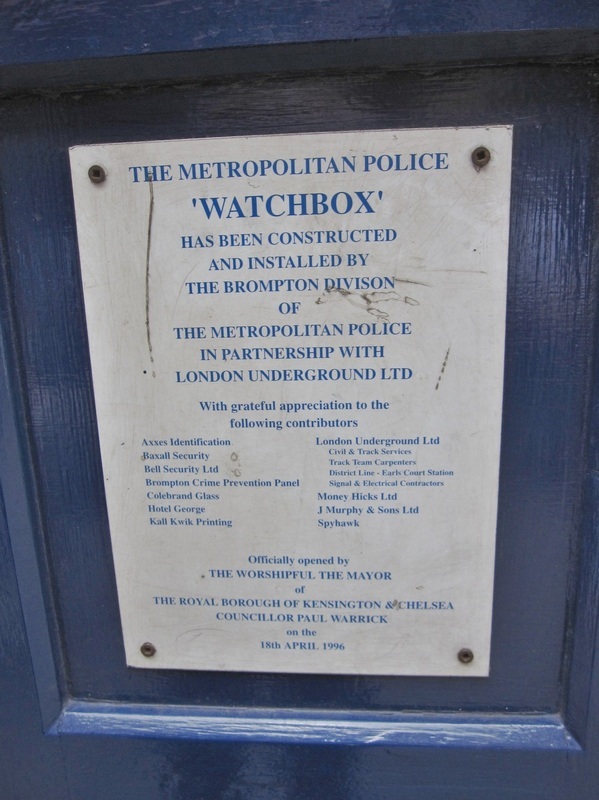 Nothing to note about this industrial estate except that it was once the site of a football ground - The Manor Ground was home of Arsenal (then known as Woolwich Arsenal FC) before they moved to Highbury. 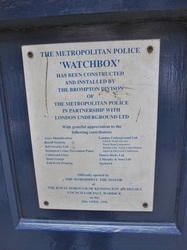 Much more about this subject is on the London's Lost Losts Sportsgrounds section elsewhere on this website. 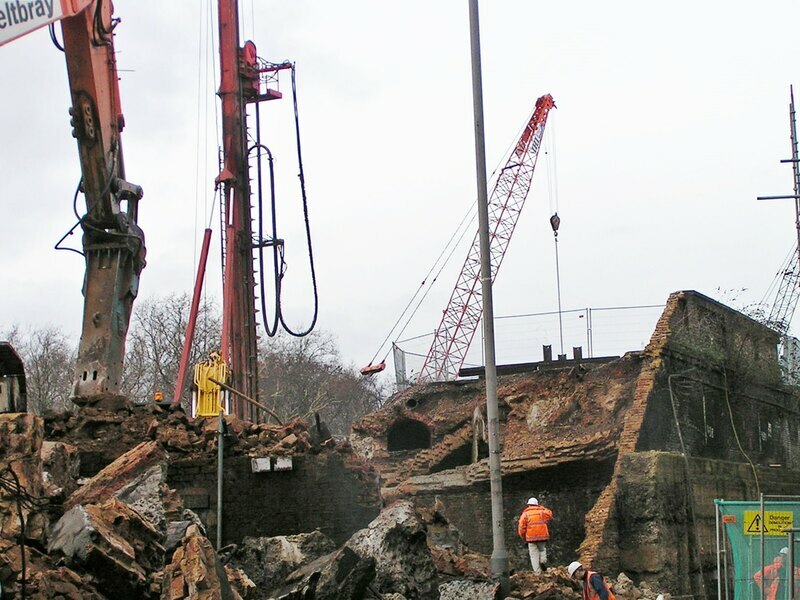 The industrial estate has since been bulldozed and housing is planned for the site. 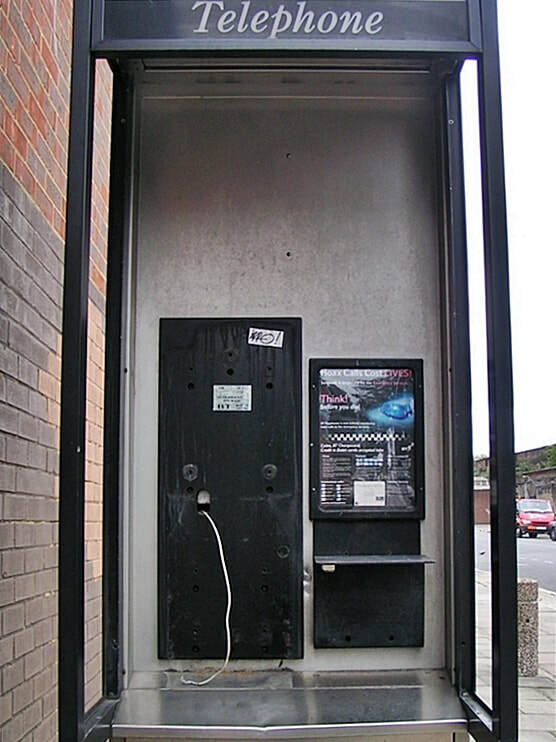 ​These telephones were linked directly to the local police station allowing patrolling officers to keep in contact with the station, reporting anything unusual, requesting help if necessary, or even to detain suspects until a vehicle could be sent to transport them to the station or to jail. 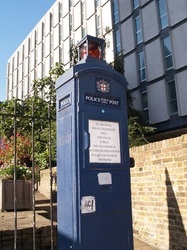 A light on top of the box would flash to alert an officer that he/she was requested to contact the station. 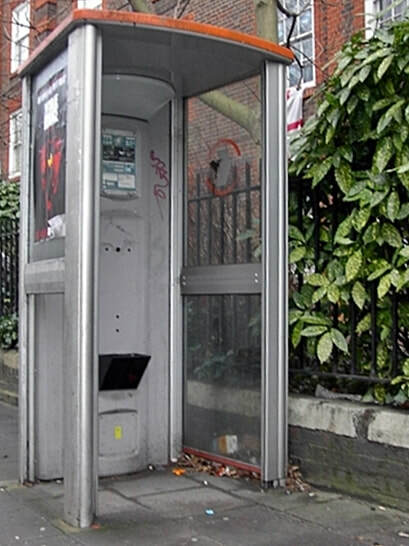 Members of the public could also use the phone to contact a police station in an emergency. 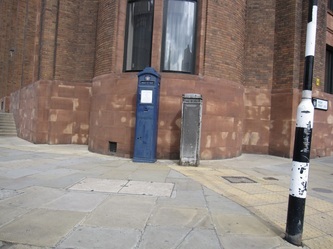 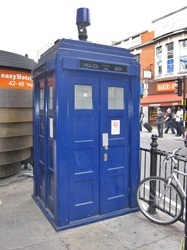 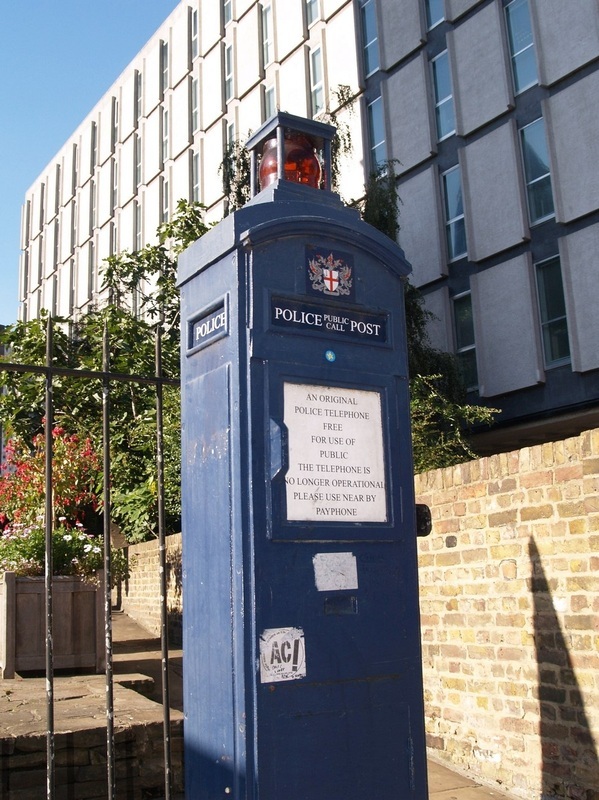 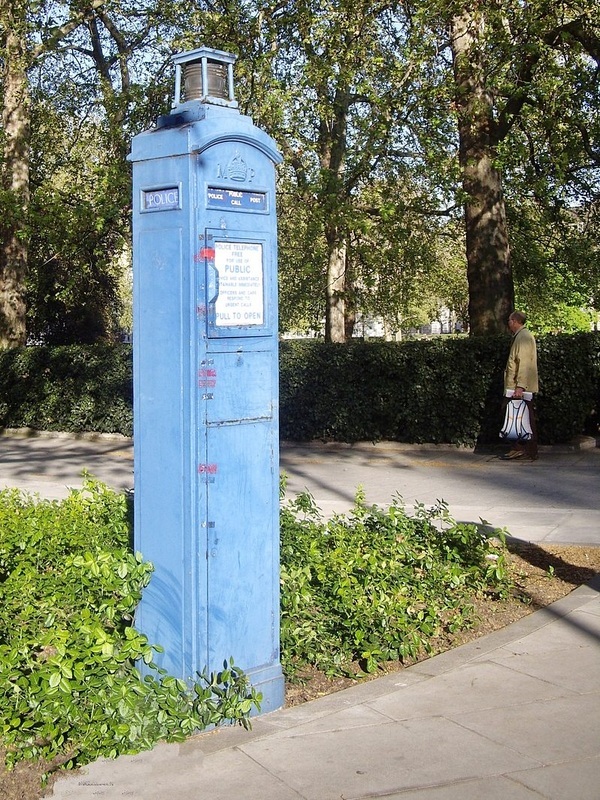 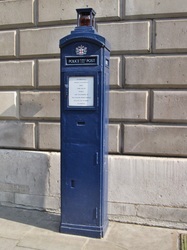 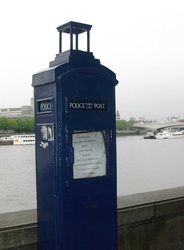 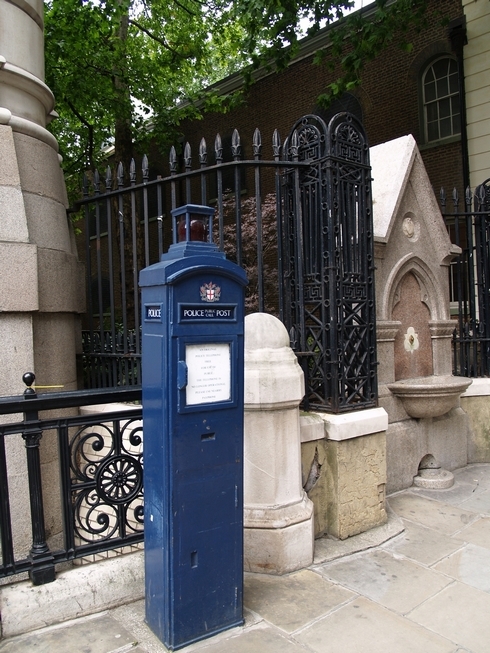 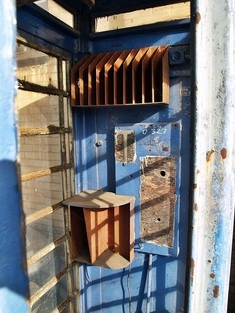 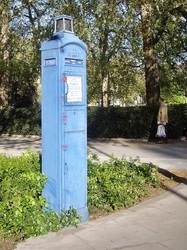 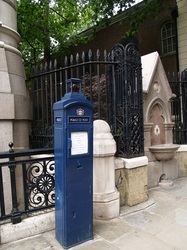 Police boxes played an important role in police work between 1928 and 1970, when they were phased out following the introduction of personal radios.